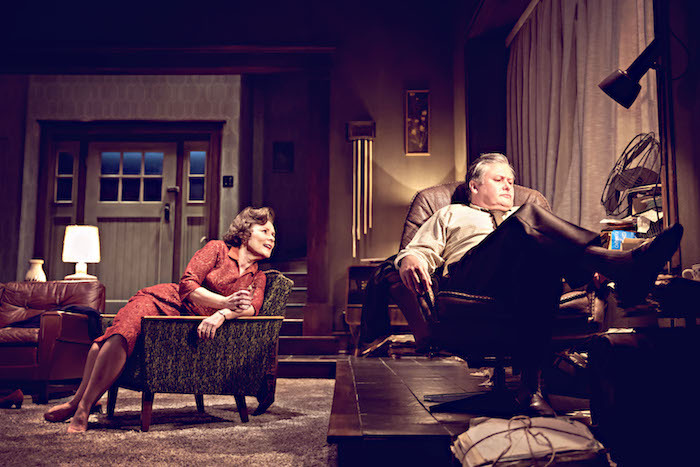 Much has been written about the snack ban instigated by this Edward Albee revival at the behest of its star, Imelda Staunton. No problems on that score: with performances of such scorching intensity sustained over a shattering three hours, audiences will be unwilling to release a breath, let alone distract with a rustling crisp packet. This entry was posted in Journalism, Theatre and tagged broadwayworld, conleth hill, Edward Albee, imelda staunton, imogen poots, james macdonald, london, review, theatre, west end, whos afraid of virginia woolf. Bookmark the permalink.